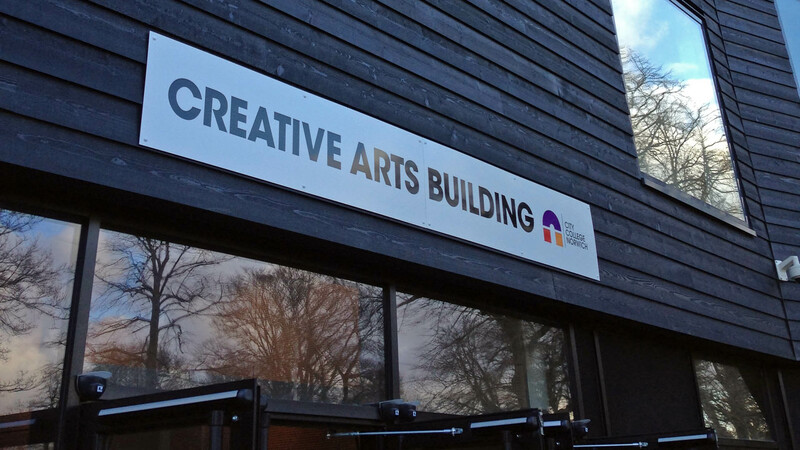 We were engaged by the main contractor to provide detailed acoustic design services for a new performing arts centre at City College, Norwich, a college of further and higher education. 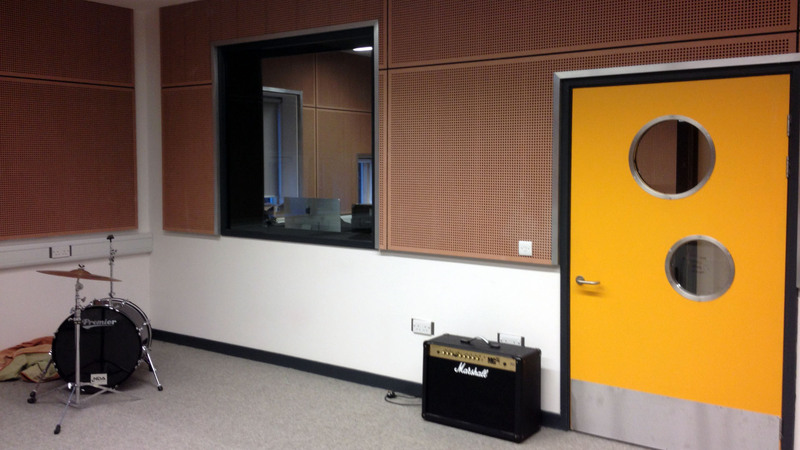 Services included complete detailed acoustic design of the whole building including recording studio, rehearsal rooms and digital editing suites. 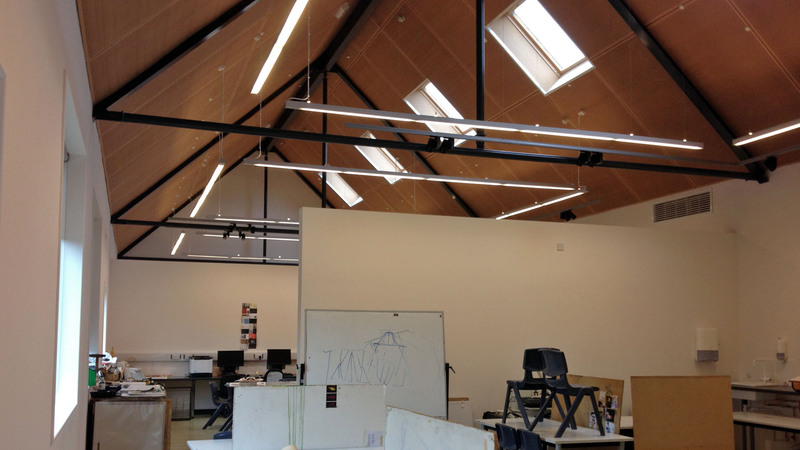 The design required very high standards of sound insulation, control of room acoustics, control of noise break out from plant and the studios to surrounding areas, and design work and commissioning to obtain BREEAM credits HEA5 and POL5. 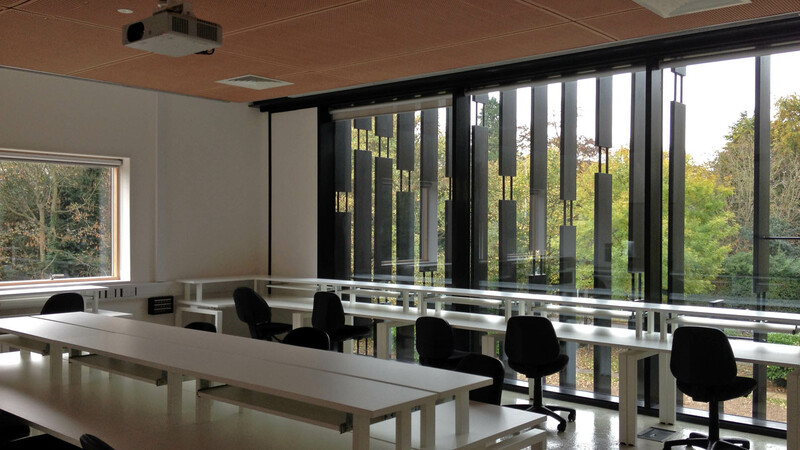 A complete redesign of the building structure to accommodate a steel frame with concrete floors while meeting the acoustic criteria. 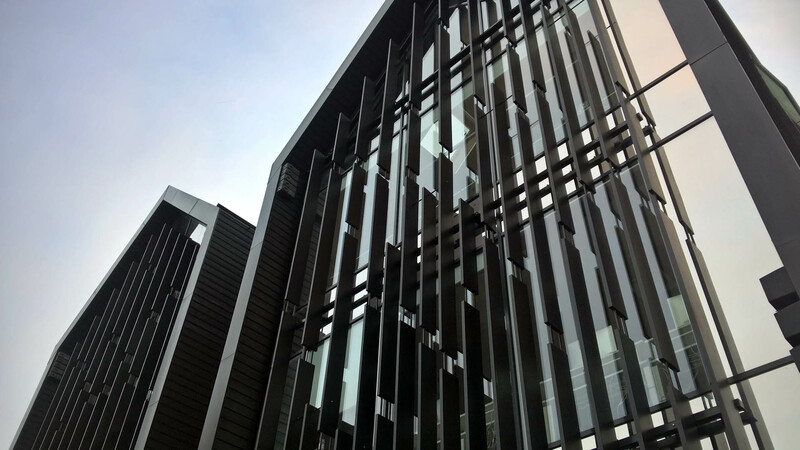 The building’s location close to the busy Ipswich Road required careful design of the building envelope to allow natural ventilation. Bespoke acoustically absorbent timber finishes which were developed to reduce costs compared with expensive proprietary products. Sustainable solutions included exposed concrete soffits for thermal mass and CO2-controlled vents to provide natural ventilation. 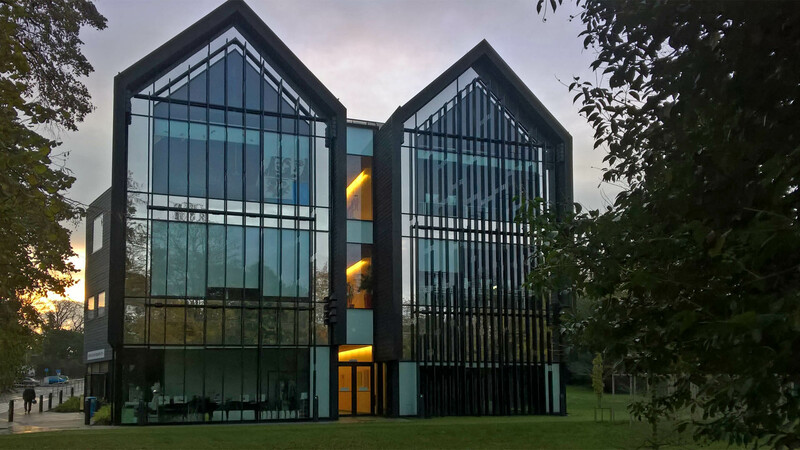 The centre, modelled on traditional Norfolk agricultural buildings, was opened in September 2013 and won a prestigious Civic Trust Award, a prize awarded for projects demonstrating high-quality design and sustainability.